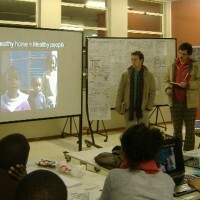 Through Wits University faculty, architecture professor Peter Rich (GS Istanbul) and planner Garth Klein (GS Vancouver), Global Studio was invited to South Africa. 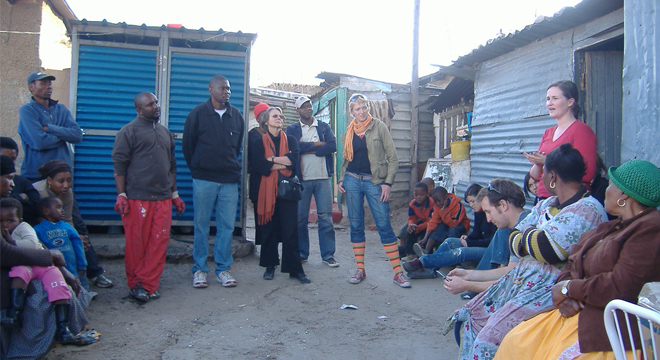 Partnering with Wits University and the City of Johannesburg, Global Studio’s 85 participants from 52 universities worked in three locations: the townships of Alexandra and Diepsloot, and the downtown Marshalltown. 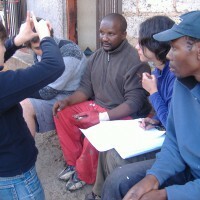 Under Garth Klein and Adriana Abdenur’s guidance, Wits University planning and the New School of Social Research international relations students worked together for one month prior to the Global Studio arrival in Alexandra and Dieplsoot. They presented their research at the four day People Building Better Cities conference, and provided essential information for Global Studio. Working under the auspices of the Alexandra Renewal Project, Global Studio listened to residents. 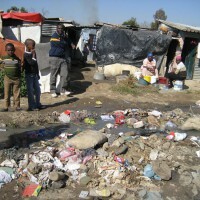 They heard complaints about cold shacks, poor housing and lack of jobs. Alex projects were both hands-on and theoretical, and included the insulation of shacks, housing proposals for the Minerva site, and an analysis of the shack yards with a view to heritage walks as a potential income generator. In Marshalltown students met with illegal immigrants who live in very poor conditions. They mapped the area, and heard about people’s hardships. They concluded the area was likely to gentrify, and that the building blocks for any transformation of these residents’ lives should be housing security, access to civic spaces, and investment which would keep people in place. 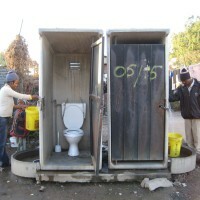 In Diepsloot, a relatively new township with over 50% under or unemployment on the northern edge of Johannesburg, Global Studio sought to understand the issues affecting people’s lives, principally environmental quality (waste and water management, flooding, drains) food security, and communications. 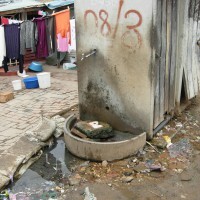 Hands-on projects focused primarily on sanitation, blocked drains, and trash. More theoretical projects sought to develop solutions to the inundation of the flood plain. Public events marked the end of the projects with results documented in reports and films. 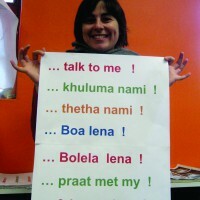 Outcomes were presented at the City of Johannesburg and Wits University. Following the program, Global Studio attended the Rockefeller Global Urban Summit in Bellagio, Italy. The four one-week meetings focused on addressing the vulnerabilities of the urban poor in the Global South, with each week dedicated to a specific theme. Global Studio participated in the final week on the topic “Reorienting Planning and Design Practice and Pedagogy for the 21st Century”.